In my previous article, “Anne Boleyn’s Remains – The Exhumation of Anne Boleyn”, I wrote about the restoration of St Peter ad Vincula Chapel in 1876 and the exhumation of the bodies in the chancel, including that of Anne Boleyn. But did the skeleton found actually belong to Anne Boleyn? Alison Weir1 thinks not. Doyne C Bell, author of 1877 “Notices of the Historic Persons Buried in the Chapel of St Peter ad Vincula in the Tower of London, With an Account of the Discovery of the Supposed Remains of Anne Boleyn”, Secretary to Her Majesty’s Privy Purse and member of the committee undertaking the restorations of the chapel, drew up his plan of the resting places of Anne Boleyn and others in the chancel based on “consulting various historical authorities”. The fact that this body was found exactly where Bell’s plan showed Anne Boleyn to be buried and “no other female bones were found on this spot”5 makes me think that they do belong to Anne. The bones belonging to a 35-40 year old female were found in the grave where Catherine Howard and Lady Rochford were said to have been buried, so couldn’t that body be that of Lady Rochford? We know that Elizabeth I was proud of her long, elegant fingers (see the portrait of Princess Elizabeth) and I am convinced that she inherited these from her mother, Anne Boleyn. As far as the argument over the “square, full chin is concerned”7, it depends on which portrait of Anne Boleyn you believe to be most accurate. The “Anne Boleyn after Holbein” portrait (from Hever Castle) that I used to illustrate Monday’s article and the Victorian engraving based on it, show Anne with a squarish chin, as do the Holbein sketches. I personally believe that the Hever rose and NPG portraits are closest to what Anne Boleyn looked like and although they show her with a pointed chin, Dr Mouat’s description described the face as being oval and perhaps the portrait lengthened Anne’s chin slightly – who knows? 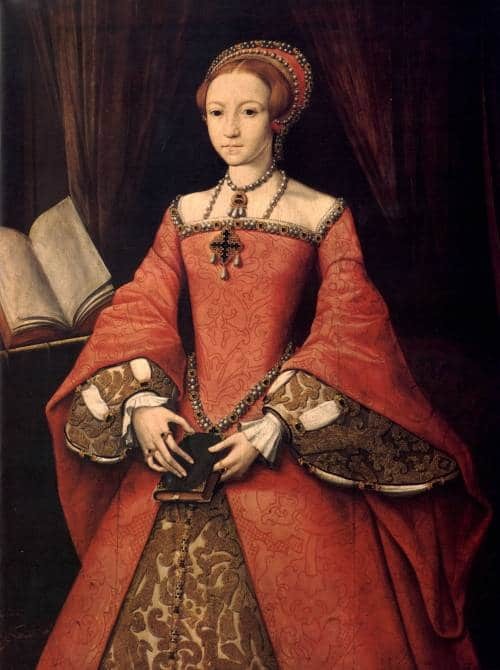 It is hard to know exactly how square and full Dr Mouat meant and we obviously don’t know for sure exactly what Catherine Howard or Lady Rochford looked like. Also, if Lady Rochford was “born in 1512 at the latest”8 and was executed in 1542, then she would have been aged at least 30 when she died, probably older as that would have made her only 12 in 1524 when she got married. Julia Fox9, Jane Boleyn’s biographer puts Jane’s year of birth at 1505, which would make Jane 37 years old when she died, so it makes sense that the bones of a 35-40 year old, found in the grave where she and Catherine Howard were recorded to have been buried, did indeed belong to Jane Boleyn, Lady Rochford. I have seen it written online that Anne Boleyn’s bones were identified as Anne because they were mixed up with pieces of the elm chest that she was buried in, but this is not true. The records from 1876 make no mention of any pieces of elm wood being found with the bones and I am not sure that you’d expect to find any remains of a wooden box 340 years on. *Alison Weir11 writes of how Yeoman Warder, Geoffrey Abbot, who has written several books on the Tower, suggests, from the information of an uncited Tudor source, that actually George and Anne Boleyn were buried at opposite ends of the vault and that Lady Rochford was buried next to her husband. Agnes Strickland writes of how Anne “was thrust into a grave that had been prepared for her by the side of her murdered brother”12. Thomas Wyatt - Did he know a secret? Salle Church, Norfolk – Agnes Strickland writes of the “curious tradition” from Anne Boleyn’s “native Norfolk” which tells of how Anne’s remains were secretly removed from the Tower of London at night, taken to Salle Church, “the ancient burial place of the Boleyns, and there interred at midnight, with the holy rites that were denied to her by her royal husband” under an unmarked slab of black marble. 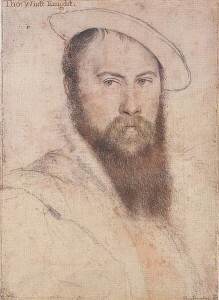 Although Strickland states that there is no evidence to support this legend, she does quote Sir Thomas Wyatt: “God provided for her corpse sacred burial, even in a place as it were consecrate to innocence” , saying that this could suggest that Wyatt was in on the secret and had something to do with the removal of Anne’s remains. In her book “Anne Boleyn”13, Norah Lofts writes of how she visited Salle Church and was shown the black marble slab by the sexton. She asked if it had ever been lifted and was told that the patron of the church was not in favour of having it lifted for investigation. The sexton also told her that Anne was said to “walk” the church every year on the night of the anniversary of her execution and that one year on the 19th May he had been keeping vigil when “a great hare” appeared in the church and led him “a fine chase”. Lofts explained to the man that a hare was one of the forms that a witch was supposed to be able to turn into at will and Anne “was supposed to be a witch.” What nonsense! Alison Weir writes of how the Salle Church myth was debunked when the slab at the church was lifted and nothing was found underneath it14 but an article entitled “Where was Anne Boleyn Buried?”15 on the Reepham Benefice website (the benefice of Salle Church) makes no mention of the slab ever being lifted. St Mary’s Church, Erwarton, Suffolk – According to legend, Henry VIII and Anne Boleyn often stayed at Erwarton Hall in Suffolk and Anne loved the place so much that she gave instructions that her heart should be buried in the local church. During renovations at the local St Mary’s Church in 1838, a heart-shaped casket was found set into an alcove in the north aisle and legend has it that Sir Philip Parker of Erwarton Hall, Anne’s uncle, was the one who buried Anne’s heart there. The casket was then reburied beneath the organ and a plaque states that Anne Boleyn’s heart is buried there.17 Alison Weir writes of how this legend is unlikely because heart burial was only fashionable until the end of the 14th century (yet it is said that Henry VIII buried Jane Seymour’s heart in the Chapel Royal at Hampton Court Palace), and the uncle’s name is wrong. Anne’s aunt, Amata Boleyn was married to Sir Philip Calthorpe. Whatever the truth of the matter, the village pub is called “The Queen’s Head”! What do you think? Do you think that Anne Boleyn is beneath that memorial tile or do you think she lies beneath that of Lady Rochford? Or, is she somewhere else entirely? Note: Many people are under the impression that all of the remains found during the Victorian restorations were buried together in a mass grave. This is not true. The seven sets of bones found in the chancel were identified and re-interred in separate, labelled boxes under the chancel floor and given memorial tiles. The remains found in the main part of the church, of which there were many, were collected, taken to the crypt “and enclosed in boxes, with suitable descriptions.” Queen Victoria was saddened by the findings of the restoration team, who found that coffins had been deliberately broken up in the past to make room for new “occupants”, and only gave her blessing to the restoration plans “with the express condition that the greatest care and reverence should be exercised in this removal, and that a careful record should be kept of every sign of possible identification which might come to light.”18 The Victorians did their best to treat the remains with respect, though of course they did not raise the whole floor. I believe that it was Anne, indeed. I think that the doctor just miscalculated the age. It is difficult to guess the age after so many years. I remember a case in my country in which the doctors claimed that the body found was a 40-year-old male, but DNA proved that it was a 20-year-old. Imagine what mistakes were made 150 years ago!! I really think it was Anne, because she was found in the right place. Je pense que sa majesté Anne Boleyn repose, dans la chapelle de la tour de Londres. Et que son âme repose en paix, c’était une bonne Reine et j’en ai l’intime conviction! Excellent article, Claire. Anne Boleyn continues to be an enigma, even in death. While we may never know if the bones found were Anne, as long as she is at peace in death, that’s all I could ask for. When I went to the Tower to pay my respects, I was not concerned about it was actually Anne’s body beneath the stone marker, but to know she lays somewhere within the walls of St. Peter-ad-Vincula is enough for me. I am not sure if I buy into any of the stories of her body being moved. If Anne’s remains were moved shortly after her death, someone at the Tower would have known? I am not sure of the secret would have remained a secret for long. But, one never knows! Of course this is my wishful thinking but I think DNA testing should be done between the remains of Queen Elizabeth I and those thought to be Queen Anne Boleyn. I do not mean to be incentive or disrespectful by any means in suggesting this. Quite the opposite actually. I strongly feel that Queen Anne is due a proper royal burial and that positive identification of her remains should be justified! I agree totally ! DNA testing could answer this question and allow the Queen to have a proper royal burial. I also agree but I think if they ever do exume these bodies then maybe they can put Anne with her daughter and put Mary somewhere else…in my opinion. Anne deservedmor respect than a slab on the floor anyway. I bet that’s why people say they see her ghost from time to time, maybe because her soul isn’t at complete rest….who knows? Personally i recon that she deserve more then just a small floor tile, after all she is called “the most infuential queen England has ever had” is she not? I beg to differ, she may have been the most influential woman to separate England from the Papists, but she was NOT QUEEN when this happened; it was the KING that performed this astonishing and wonderful feat of immense bravery as Rome ruled the monarchs of Europe absolutely. The most influential Queens of England are , beyond doubt, Queen Elizabeth I and Queen Victoria from a historical standpoint if one can achieve a grander scope of vision. Queen Elizabeth II is an astonishing woman of great substance as well. Those women that worked “behind” the scenes-the mistresses, such as Camilla Bowles, who had done so for years and which Anne Boleyn did for seven years- wielded great power, but were not to be counted among the blood royalty, nor the supreme position of Queen when their effect was in that behind the scene state of power or paramour. And remember, they were never hindered by other politics, such the Houses of Parliament an the House of Lords, while mistresses as they must as Consorts and Queens..
Anne’s power of Queen was too short lived and could not bear up against the almighty King Henry, who was desperately ill and of changed personality due to his dreadful trauma. This to include jousting, the first which caused a varicose ulcer that even today is terrifically difficult to cure. The second jousting injury resulted in massive brain injury and unconsciousness or TWO HOURS. Even FIVE minutes is severely serious, can you imagine the brain damage that resulted in his loss of consciousness for TWO hours? . He suffered the illnesses twice of TB at an extremely early age, debilitating and horrific migraines his entire life from the second jousting injury, the ruptured various ulcer from his first jousting injury once healed and reopened in his second, but never to be again healed and remaining in a state of a life threatening wound. Today the only cure would be amputation, but at the time of Tudor medicine the survival rate was a pathetic ten percent,. Who would risk this,the King’s life with those odds? He was estimated to have executed and murdered 70, 000 people after the second injury which modern medicine estimates caused severe brain damage to his frontal lobes AND occurred when Anne was Queen and expecting the male heir he married her to achieve. She, in desperation of his life, miscarried. He in his anger, though his vanity and pride of England’s place, caused it, blamed her and determined to do away with her if she did not bear a male heir with her next pregnancy. Instead, she gave birth to one of the greatest monarch England had, female or male, Elizabeth the First. There was NO cure at the time for Malaria, and re-bouts were a regular and constant illness for his entire life. His pain level was past the scale commonly used by doctor’s today and it changed him dramatically. Witness those 70k+ murders and executions. THIS is what Anne Boleyn dealt with, suffered with, and ultimately died from,her husband’s mania due to a host of dreadful illnesses. And this doesn’t even include those that sought her life by betrayal and outright position seeking or to save their own live, including her wretched parents and uncles. No statement which forgets that larger and more accurate picture, should be postulated. I found your post when looking for a portrait of Anne Boleyn by Holbein. Very informative. I do hope some DNA testing will happen to establish Anne’s burial and I favor the idea of burying her next to her illustrious daughter, Queen Elizabeth I.
I am in complete agreement with this. She should be fully pardoned and given the Royal burial Queen Ann deserves. As close to her daughter, Queen Elizabeth 1, as possible. Thank you for this awesome article! I was always wondering – why the modern historians won’t exhumate the body of Anne Boleyn? If they will do it nowadays, we could have the precise data of what Anne really looked like. I totally agree with Mary-Corinne ‘s statements about DNA being carried out.This is the first I have enen heard of these ledgends and am totally fascinated by it.. I shall be visiting The Tower next month ( a life long dream come true) and Hampton Court. I shall pay my respects to Anne at her stone marker .This site is wonderful and I thank you for all your hard work and dedication !!! Once again, great article Claire! It makes sense to me that it is Anne as the doctor had that plan to show exactly where bodies were believed to be buried (based on historical sources). That is the same reason I believe the tiles don’t represent where the person is said to be buried exactly. This is because the plan and the floor tiles don’t match up, as we discussed in the comments on the last article. I am thinking the tiles were just done close to where they were buried but with more concentration on what would look nice on the outside, you know?! Does everyone on that plan have a floor tile do you know? Now, you said he placed the bodies back in their orginal spots but what about the ones on the plan that weren’t found; did he just leave those spots empty/bare did the book say? Or the ones that couldn’t be identified “for sure”, where did he put those? I like the care that Queen Victoria took with the project, she showed great respect when she didn’t have to, seeing as how those in the floor were thought to be all traitors. I would love for the bodies to be exhumed so we could know for sure who is where and who each person was, I know it would be a huge job and it would involve disturbing the resting places of so many, but I think it would be well worth it-although I doubt the Queen would ever consent to it. Thanks Claire! This is quite an interesting article. I am intrigued now to find out more about Anne’s burial myths. However I feel that if people paid their respects to Anne’s grave at the Chapel at the Tower of London and would still get the message wherever she is. Personaly I believe she is buried there, if not in that exact place where her markings are, then someplace close. I really do not believe one of the burial myths- that her heart is buried at St. Mary’s Church somehow it is hard for me to believe. I suppose- unfortunately we might never know the real truth behind all this mystery. Part of me is for exhuming the bodies so we could know as close to sure as we can get, but the other part of me does not like the idea of disturbing their rest. I wonder why Elizabeth I didn’t order her mother’s remains to be retrieved and buried properly like James did with his own mother, Mary Queen of Scots? In any case, as much as I would like to have Anne’s remains identified for sure, I would be sad if none of the bones in the chapel were identified definitively as hers because then we would have no place to pay our respects. Really fascinating article. I believe she is where they said she was, though I would like to believe someone stole her body and gave her a proper burial in a place she loved. But I think the times were way too dangerous for anyone to have tried such a thing–after all 6 people of the highest rank had just been executed on trumped-up charges. I don’t think even the most loyal supporter would have risked Henry’s wrath at that point. I hope whereever she is, Anne is at peace–I believe she is. Thanks again Claire for a great article! Do you know anything about the wardships of Elizabeth I? I think it would be great to know the true remains of Anne. With the technology that is available today, we would know for sure and many questions would be answered. It may seem like a dark thing to do, but, tell me it wouldn’t be great to see (in picutures) the bones of our Anne Boleyn, truefully…it seems like that would make her a reality, so to speak…Just like King Tut or any other ancient persons that have been exhumed and photographed. Anne really is such a mystery! No confirmed date of birth, no portrait that can be identified as her without a doubt, and no certainty about her burial place. I still think the Victorians were probably as accurate as they could be and I agree with Claire that a square chin may have been wrong. I would rather have resources used to preserve buildings and other artifacts that are in danger of being lost rather than a project to exhume bodies. England has so many fascinating places to visit. My dream is to win the lottery and live there to see all that wonderful history in person. Yeah, the body under the marker Queen Anne Boleyn is Anne Boleyn. I read a biography on her that discussed the controversy and I just remarked “The Victiorian doctors were not always accurate.” I mean, they still did bleedings back then when people were sick, how accurate could they be? Back in that time they probably assumed her birthdate was 1507 so they just guessed that the skeleton was of that age. It’s that simple. It would be interesting to run DNA tests on the remains of Elizabeth I and the skeleton in the Tower, but I don’t think that enough would be gained by it to justify disturbing their rest. I personally believe that Anne should remain where she has been for the past 474 years. 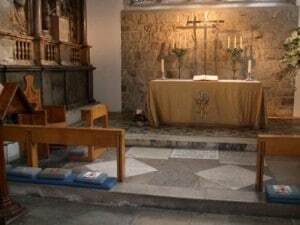 I love the little chapel of St. Peter ad Vincula – I attend services there when I am in London (in fact, I’ll be there on Sunday, September 12). It is like a small village church, where the parishioners and the chaplain know each other and genuinely seem to care about each other. In fact, when I attend services Rev. Hall mentions that I must be in London for my annual holiday. It is a beautiful quiet little church, and when you enter you get a sense of peace. While I’m there, I almost forget about the hustle and bustle of modern London just outside the Tower walls. I attended candlelight Christmas Eve services there in 2004, and it was beautiful. The next day, on Christmas, I unfortunately missed the service (it was held at 10:00 instead of 11:00 since some people want to have a big Christmas lunch). Later in the day I attended a service at St. Paul’s and while St. Paul’s Cathedral is beautiful, it was a big, impersonal, anonymous service that wasn’t nearly as touching. Westminster Abbey, where Elizabeth I is buried, is gorgeous and spectacular – the first time I walked into the Nave I stood with my mouth hanging open because I had never seen anything so beautiful. However, like St. Paul’s, it is a major tourist attraction, and, as such, is always very crowded and hectic. Almost all English monarchs from the time of Henry III until George II were buried at Westminster (except for Henry III and Charles I, who are buried at St. George’s Chapel, Windsor), and Anne would be one of many queens buried there. With her being buried in St. Peter ad Vincula, people who wish to pay their respects can do so more privately, and sometimes the Yeoman Warder will allow you to go “over the ropes” in order to see Anne’s memorial stone up close. I think that everyone on the Anne Boleyn Experience 2010 would agree about how touching it was. I firmly believe that Anne was buried in the place excavated by the victorians. The shape of her jaw bone can be easily explained if you study the portraits… some were painted with her face at an angle to the painter, almost in profile with eyes facing the viewer – hence the chin seeming pointed; some are painted with Anne’s face less in profile which indicate a square shaped jaw. Wherever her mortal remains lie is intriuging. I pray that her immortal soul thrives in the peace and perpetual light that her innocence deserves throughout eternity. God bless sweet Anna. P.S the square shaped jaw – definitely. I think I have to agree with some of the other comments – that given the forensic technology available today it would be interesting to see the factual Anne – how she really looked. This woman who captured the heart of a king and changed England forever. However, even if we know what Anne really looked like we will never really know the woman – her character and charisma. What excellant artIcles. I believe Queen Anne is there, and like many others, it doesn’t really matter exactly where, as long we pay our respects. Wherever you are laid to rest, we all wish you peace and deepest respects. You have the admirers you wished for when you lived, more so now than, back when you roamed the earth. It does not matter exactly where you are, st. Peter’s is where we all like to believe thats where you will always be, and that’s where we visit you each year. God Bless you. You will never be forgot. Elizabeth 2 is not a descendant of the Tudors. They are not her ancestors, however like many people she would think exhuming the dead to fulfill some personal curiosity or voyeuristic fascination is morally wrong. Elizabeth II is descended from the Tudor line, she is descended from Henry VII and Elizabeth of Yorj. Correct, she is descended from their daughter Margaret, her son James V, then Mary Queen of Scots, then James Vi and I, his daughter Elizabeth the Winter Queen, her youngest daughter Sophia, Electress of Hanover, her son George I, by passing the children of James Ii, then through four Georges, William iv, brother of George IV, to Victoria, daughter of the deceased fourth son of George iii, brother of the above, Edward, Duke of Kent, then her son Edward Vii, his son George V, his son Edward Viii, who abdicated for our Queen’s father, George vi, then of course, Elizabeth ii. Not that any of this matters, Anne Boleyn should be left alone, but the Princes in the Tower have to be identified, as they may not be royal at all. Anne. You are in my heart. And I want to thankyoufor the help and support you gave and still do everytime I ask for it. I love you. And it doesn`t matter where your human remains are. You are in my life and that is enough for me. I really hope that Anne is in her proper place, buried next to George. I would hate to think that Jane Parker gets Anne’s flowers!! If they ever exhume her body, I would love to see her face re-built. It can be done without harming the bones. I think Her Royal Highness would be intrigued if her admirer’s could see and admire her true face. I know everyone keeps saying this, but what a wonderful article, Claire!! I personally think that this body is Anne Boleyn’s. It seems to match her physical description and was in the right place. What is your opinion, Claire? I wanted to add something my historian sister put forward when I asked her for her opinion on this thread. She says that in every picture she has seen of Anne she had a heart-shaped, elfin face and letters written to people overseas by those at Court backed this up, even emphasised it, given that these opinions were often those of her enemies who saw her as an interloper and were actually critical of how sharp her face was. However, if the bones could be examined again today it may be possible at least to identify the weapon used to execute the individuals. This would then confirm for definate which were Anne’s since she was the only one executed by a sword. As for Katherine Howard, my sister says there are really no reliable portraits of her and the one they believe could be her is slightly side on so it’s difficult to tell. However, it is estimated that she was between 16 and 18 years old when she died so it’s also unlikely to be her. I thought both these articles were extremely informative as well as interesting. What I know about DNA you could write on the back of a postage stamp. Does anyone know whether it is possible to undertake testing on two individuals and say whether they were brother and sister. As far as I am aware, Anne and George are the only brother and sister in the Tower crypt, so if a male and a female skeleton were found to be brother and sister then wouldn’t it have to be them, or am I totally off the mark? There is a way to test the DNA to see if they were siblings. Mitochondrial DNA is passed down solely through their mothers. They could, technically, use Elizabeth I’s DNA to test for both Anne and George. And why should we disturb Elizabeth I and cause damage in the Church of Saint Peter again to test for DNA without any real scientific reason? Why can’t we just let people rest in peace? They all have a proper resting place and it’s not that simple. You need to trace an all female line to back it up and the DNA may be contaminated. Interesting article indeed. I would find it very interesting aswell if they did some DNA tests and scans on the body (like they did with King Tut, as someone mentioned above) and after testing being buried back in there to rest again. I would find it very interesting, if they would be able to create a real image of how she used to look, so imaginary images could turn into real life images. Science can do so much amazing things nowadays and bringing back the image of a person that died iver 450 years ago it would be more than incredible. I agree with many of you that it is highly unlikely that anyone would have dared to remove Anne’s body from the Tower. I believe she is buried in S:t Peter and that the body, thought to be hers, probably is. I also stongly believe that Anne wasn’t born in 1501, but later. I think Anne and Jane Parker was about the same age. If so, the age of the female bodies make sense. I think it would have been nice to see her face re-build, (I would like to see all of the buried faces re-build) but at the same time, I don’t like the idea of already buried bodies to be put in papper boxes on a shelf. I enjoyed reading the article concerning the possibility that the bones found in the Chapel of St Peter ad Vincula, as examined by the Victorian doctor, Dr Mouat, were probably those of Queen Anne Boleyn. I found it a little odd, however, that there appeared to be no reference that I could see to any finding whether the (female) skeletal bones examined bore the signs of execution by a sharp sword, which I imagine would be a very persuasive finding, since we know as certain that that was how Queen Anne was killed. I presume that to forensic specialists such a sword-initiated very sharp and precise severing blow to the neck region would leave distinct telltale marks ascertainably different in character to the usual execution signs left by a large axe. I certainly agree with correspondents to this article that there is much more work to be done in identifying correctly, using all DNA and modelling technologies, the skeletal remains most likely to be those of Queen Anne. Curiosity and doubt will always linger. My thought is that the remains found are actually those of Anne Boleyn, or that of Lady Rochford, and that her remains lie nearby. What is so endlessly frustrating is the obvious lack of certain portraiture of Anne! Blast those Tudors for not providing us with a definite portrait. I realise it is thought that after her ‘fall,’ she was so despised that nearly every image of her was destroyed, but this has really turned to be pity! Also very regrettable that the victorians did not raise the entire floor. I agree with another poster that DNA testing should be done. It would be wonderful to properly identify the corresponding remains. I’d trust the Holbein portraits. Especially the sketches. I don’t think it was possible for them to tell anything from the neck bones as they were very eroded. In the collection thought to belong to Anne, all of them were eroded apart from 3 lumbar vertebrae and three dorsal vertebrae. In Margaret Pole’s case, there were only 4 vertebrae left, one dorsal and three lumbar. So, it just wasn’t possible to look for signs of what mode of beheading was used. Yes, it is incredibly frustrating that we don’t know exactly what Anne looked like. I wouldn’t like the chapel to be disturbed but if the floor did need to be raised for some reason in the future then I’d really like experts to examine the bones and give a 21st century opinion on them. to dig her up just to satisfy someone’s curiosity. be replaced again then that’s different. I really wonder whre she could be really buried . About the legend of the heart,Anne Of Britanny (who died in 1514,maybe when Anne Boleyn was in France) actually did make her heart being replaced in a gold spheric box to always belong and rest in Brittany . I think it could maybe -If the legend is true- have inspired Anne to do so because she might have heard of it (If she were in France at this moment) or learned from Queen Claude Of France -who was Anne Of Britanny’s Daughter- when she was at the french Court . Well I don’t know if i believe to this legend but it’s at least an esteresting legend ^^ Thank you for your Wonderful website about this Great Woman and Queen,I love It ! I think that an excavation would be a great idea! It would give a few people a final resting spot where they can go peacefully into the after life instead of wandering around looking for their bodies. Just think though, the queen is getting older so maybe in 10-15 years from now well be able to do it. Maybe prince phillip be more accomadating with the changing world! I think if you look at the pictures of queen elizabeth 1st, i think you would get a good idea of what Anne would of looked like or something to base the face shape off of. If you took samples from the bodies supposovly laying under those stones you would be able to get matches on who is related and who is not. The higher the match the closer their are in relation to each other. So you would have a sense if it really is Katherine, Jane or Anne. As a history student, you would have to go through all documentation of what she was supoosofly to look like that was written when she was alive or right after and find simalarities. Also take into account the things that Elizabeth inherited from her mother and father and pictures of elizabeth. I think what might not let this happen is it would cost millions of dollars to do.. but who knows if one historian and archeologist want to do this then maybe it will happen. I love this history of the tudors and so excited to finally go back to England again and visit her site and pay my respects to these strong women who died for an evil man!! I think it is a great shame that Queen Anne Boleyn’s daughter, Queeh Elizabeth I, did not give her mother a proper royal burial to which she was due. Well yes but Elizabeth probably didn’t know where her mothers bones was placed…? Anne’s was in disgrace after her trial and to speak of her was just not done, not even by her own daughter. I was wondering DNA analysis as well. Scientists could do a DNA analysis of Anne, her cousin Catherine Howard, her brother George and her sister-in-law Jane. Anne and George are siblings, so comparing their DNA would be the easiest way to identify Anne’s remains without disturbing Elizabeth I’s grave. Since Anne and Catherine Howard were cousins, a DNA analysis would show a family connection, but there would be fewer similarities in DNA markers between cousins and siblings. Jane, to my knowledge, isn’t a blood relative to Anne, George or Catherine. George’s DNA could solve this puzzle quite easily without disrupting Elizabeth I’s remains, which would never be disturbed simply to identify where Anne’s remains are really located. Regarding the shape of the skull. I believe that Anne had a long, oval face with a narrow chin. Why do I believe that? I believe it because we have many images of Elizabeth I, whom, in paintings, consistently shows the same face shape as the portraits of Anne with a long, oval shape and narrow chin. Henry had a square face; Elizabeth’s face shape matched her mother’s. Claire, I am curious about the examination of the remains found in the chapel. I haven’t had a chance to read all of Weir’s latest book. You discuss the state of the cervical vertebra. Did any of the remains show more or less damage to the collar bones or jaw bones when compared? Anne was executed with a sword while she was sitting upright. Catherine and Jane were executed with an axe (shudder) while they were laying hunched over a block. Evaluating the skull, neck, collar bones and lower jaw of these 3 women could give an indication of which method of execution was used. Anne’s remains may show less damage to her lower skull, collar bones and jaw; Catherine’s and Jane’s remains may show significantly more damage to their lower skulls, collar bones and lower jaws when compared to Anne’s. I am interested in anything you have read about the state of the collar bones and lower jaw bones for any of the remains. I believe that both Anne and Catherine Howard should be properly identified for historical purposes but also for their own dignity and respect of the religious beliefs. Ok, even Jane should be given some respect….. In some ways, Anne Boleyn was the spark that led Henry VIII to break with Rome and to embrace Protestantism (sort of). She wasn’t THE spark, but she was a powerful spark that hastened the split, IMO. I believe that this gives us another reason to properly identify Anne’s remains. Protestantism would have come to England even if Anne had never existed. But Anne gave Henry what he believed to be a legitimate reason for breaking with Rome. Henry was extremely desperate to have a legitimate son, and Catherine of Aragon was (probably) beyond childbearing years. I believe Henry would have divorced Catherine and split with Rome regardless, but Anne became the catalyst that caused the split with Rome to occur sooner, more quickly and with more damaging results for England. I believe Anne to be an important reason for the timing of the Protestant Reformation in England. The havoc that followed the Reformation lasted for centuries. Anne played a large role in bringing the Reformation to England and thus, it is even more important to identify her remains. I don’t believe that Anne’s body was removed from the Chapel at the Tower. Thomas Boleyn was lucky to have escaped with his life; anyone who removed Anne’s body without Henry’s permission would have been executed. It was not in her family’s best interest to move her remains. And I fully agree with ‘Jessica’ on her earlier post. Because the Victorians identified the skeleton as Anne Boleyn and concluded that it was aged 25-30 years old, this was most likely because up until the 1900s, Anne was without a doubt, unquestionably, considered to have been born in 1507. It’s only with new research and evidence come to light that it was probably more likely around 1501-2. As ‘Jessica’ bluntly – yet correctly, most likely – puts it, they ‘guessed’ the skeleton’s age around their beliefs of Anne being born in 1507, which in my opinion she perhaps wasn’t. Yet I’m not sure. I agree with you Claire, that the 30-40 year old skeleton is VERY LIKELY to be Jane Rochford. I believe she was born between 1505 and 1508, and I think 1512 is far too late for her to have been born. She was most likely, therefore, aged 37 or thereabouts when she died, and so that skeleton is probably her. Katherine Howard’s remains supposedly dissolved, according to Alison Weir’s book. That’s what the Victorians believed about her, because she was so young at the time and thus her bones were more sensitive. This rings true, for whereas Jane Rochford’s body was a hardened 36+ years plus in age, and Anne Boleyn’s not far behind at 33 or 34, Katherine, I believe from research, was only 17 or 18 at death – half their ages. Remember, Alison Weir is publishing a book on the fall of Katherine Howard, due for release in 2015, probably very similar in context to the one she wrote on Anne Boleyn’s fall. She will probably have other theories for the burials and what happened to the bodies. All in all, I THINK I agree with you, Claire, but I’m not sure. I know that Anne Boleyn was supposed to be of ‘middling height’, which was shorter than it is today, and if a woman is ‘middle height’ nowadays, that’s what, 5 foot 4 or 5 foot 5? The skeleton was described as being 5 foot 3, which could fit with this, yet I always imagined Anne Boleyn being tall, or medium in height… that’s probably just me! The other skeleton was almost certainly Jane Rochford, and sadly poor Katherine’s remains probably did dissolve. I think the burial site should be treated like an archeological site and excavated like they’ve done in Egypt. The bones can then be examined by a forensic anthropologist and the question of any marks on the cervical bones might be answered. I would also hope that if the skulls are intact, facial reconstruction could be done to get an accurate picture of the people interred. I don’t know if it’s true but I heard that the royals don’t want ANY DNA testing done on anyone royal, alive or dead. There might be some interesting and not so welcome surprises. their own (Henry vlll) is at fault. Well it’s not Ancient Egypt, it’s a Church, a sacred space and digging people up causes damage. They were reburied in a closed casket and given a blessing. There is no justification to dig them up or move them. If repairs are done again then fine, but if not leave people to rest in peace. We probably should have done that in Egypt as well, instead of sticking people in museums to be poked and prodded just for curiosity. 1.Tooth enamel can reveal her exact age at death. This has been done with three million year old skeletons of Homo Erectus and can certainly be accomplished in this case. 2.Three dimensional imagery and facial reconstruction can tell us what she looked like. Finally, it is my hope, indeed my dream, that after positively identifying the remains of Anne Boleyn, that she be removed from her traitor’s grave and interred in a place of honor next to her daughter Elizabeth. There is no mention of the building works carried out by English Heritage in the 1970’s when some remains were located……I know this for a fact because my Father was one of the builders who carried out that work at St. Peter ad Vincula, and was presented to Her Majesty the Queen at the evensong and rededication ceremony.. for the work they had done. So I have my own theories………and first hand accounts ! this sounds as if u know something important? Claire……an extremely interesting article and well written. You stated you did not believe that any wood from the elm chest used as a coffin for Anne would have survived until the exhumation in the 19th century. FYI-if in a dry place where the temperature was basically the same, wood can survive for thousands of years. Note the wooden relics found in the tomb of King Tut. I saw the King Tut exhibition that toured the US in the late 70’s and there were many beautiful wooden objects in it; especially a wooden bust of the boy pharoah and while cracked from lack of moisture in the wood, it was in remarkable condition. As well as the bust, there were chairs, boxes, chests, and model boats. The wood was a brown/grey color and looked as if it were so dry just warm breath would ignite it but it was there and considerably older than Anne’s chest would be. After reading about the exhumation of Anne’s remains I wonder if Wier isn’t right and if the remains were not identified correctly because no wood was found. Also, I wonder if at some time in the past, others had exhumed the place of burial and “cleaned” it up. It would interesting to hear from a more knowledgable person about whether or not the wooden chest or parts of it could have survived under the conditions in the Chapel. Any takers? Can someone help me out, I’m getting married this year and my wife to be is Henry viii and anne boleyn crazy. I’ve got a good full body image of a painting for henry but does one exist for anne? Congratulations on your upcoming wedding! Unfortunately there are no full length 16th century images of Anne Boleyn, unless they are hidden in a private collection, but there is a much later engraving of her which is full length, see https://www.theanneboleynfiles.com/anne/anne-boleyns-execution/anne-boleyns-execution-competition-articles-2011/valeries-entry/, but it is only inspired by earlier portraits. Hope that helps! I think its well worth it redigging the bodies and doing dna testing to find out which remains are truly Anne Boleyn. not knowing 100% that its her body under her name is fustrating. she deserves better then that. i believe that she is under her name but if she isnt she should be in the right place. it will also prove who the other bodies are as they all derserve the right to be identified and having people know exactly where they are. and while the remains of E I and supposed AB are being tested might as well have a forensic facial reconstruction done on thw skull of AB to get a more accurate image of her face structure. was she not interred with her head? than that, in God. :) bless you. I think that the poet smuggled Anne out and that she’s buried somewhere else. Henry probably didn’t care to look to more than the execution. Or perhaps she’s under the floor where it wasn’t dug up. In any case, she’s most likely back on earth living across the Channel! Just read on the BBC today that they identified the 500 year old slkeletal remains of Richard the III of England which led me to some research online and this page as to how and why more royals have not been identified via their DNA records and surviving ancestors DNA surely that could be used here to help solve the conundrum? Richard III’s body was found during an archaeological dig so it was appropriate for investigations to be carried out. To test Anne Boleyn and people like her would require places of worship to be disturbed and I don’t think that’s right. Just my opinion though. I also think that they should do DNA testing on the bones, in order to provide a correct record of where she was buried. The bones can be reburied after excavation and it would put to rest some of these myths and legends of where her final resting place was. I know this is an old article but could not find another more suitable one to put my post. I have recently been re-reading the novel The Concubine by Nora Lofts; the old hardback version, and as I came to the sad ending it struck me that Henry was an idiot or a typical forgetful man. Having decided that Anne was going to die he got very consumed by the details and took great expense and care over every single detail of her execution. Every detail that is save one: her burial. He paid the French executioner 20 quid and paid a lot of money for the scaffold and so on, but he did not pay anything for her body to be laid to rest. Now was he just being cruel and mean or was he forgetful as he did try to distance himself over the execution during the next few days following her public trial. Henry seems to have been far too busy making merry with Jane Seymour and preparing for his wedding to her to be bothered with anything to do with Anne once the preparations for her death were in place. He just wanted it over with! He got very upset when he was told that the French executioner was delayed and more and more impatient with every delay. Now he was obviously just wanting to be away and off to Jane Seymour who was off course waiting for him to have her brought with her family from Wolfe Hall to Greenwich. It may have seemed unimportant to him what happened to his late wife’s dead body, or he simply did not care. Either way he made no provision for a coffin or someone to help to lay her in the ground in Saint Peter’s in the Tower. I really felt the upset and distress of her poor ladies reading this novel as there is a great deal of detail about them taking the bleeding headless body of their mistress with loving care and wrapping her in a sheet, and then someone found an arrow chest which was too small, and these poor women had to handle this body and place her as best they could into the arrow chest as her coffin. Who removed the paving stones in the church to enable them to place the coffin in the ground? Lofts comes up with an obvious solution; they found an old gardener with a spade and got him to do it. Surely someone must have assisted them here. It seems inconceivable that three or four women could carry her body and then her make shift coffin, and dig up the stones themselves and then replace them over her. Someone must have been there, but history is silent on this. Then Lofts raises a question which is notable above; is Anne buried in Saint Peter’s or was she somehow transported to lay with the bodies of some of her ancestors in Norfolk? In the novel two of her ladies when packing up her clothes and their own make a plan to get a cart and take her to Sale Church in Norfolk. We are not told this is what they do; the story ends here. I would like however to ask a question: is there any real evidence that Anne was dug up and taken to be buried somewhere more appropriate? Perhaps you could do an article on this. I have read some of the above and that Anne was exhumed in the 19th century and identified and re-buried with a proper plaque and as Queen. But do we know for sure it is Anne? We could do a better job if we looked at her body today. We may get DNA. She must have some relatives living, especially as someone who is not identified but must be a relative or a devoted fan has brought her a basket of flowers every year on her death May 19th and the tradition has gone down the generations for 500 years. It is a mystery I really would love to know the answer to. The second question is: why on earth didn’t someone provide the poor woman with a proper coffin? If Henry spent that amount of money on her execution then why not spend a few extra quid on her burial and pay a priest to say a Mass for her soul. She died in grace, if the testimony of Cranmer is true as she took the Blessed Sacrament and went to Confession before she died. She also asked people to pray for her and committed her soul to Jesus. She was entitled to even the most simple of Christina burials, a priest to say a few words for her soul. And if not Henry why did her father or sister not pay for a coffin, even if they did so anon and then there is the Duke of Norfolk; he was influential enough to have her buried correctly. He could have even have claimed her body. It was not unknown for the families even of condemned traitors to claim the bodies of their loved ones. Norfolk claimed the body of his son Henry Howard, Earl of Surrey and Sir Walter Ralaigh’s body was also claimed by his wife. Even though Norfolk was in the Tower as a traitor, his agents still got the body of his son from the crown! Surely, Anne, guilty or not deserved better than a cramped arrow box and at least a few words for her soul! But may-be she did get a proper burial. Perhaps her two ladies did bring a cart and pay someone to remove Anne onto it. Then, hiding her coffin under their own property, may-be they did depart with her under the cover of night and spirit her away to Norfolk where she was then buried with honour, dignity and prayers. Who knows? I took the tour in the fall of 2004, and our guide told our group that it was someone else’s body that was discovered missing when they did the work in the 1800’s. I think he said it was Catherine Howard’s body that was missing. Well they know for a fact where Elizabeth I is, so if they are not sure about Anne, why cant they do DNA on the bones to see if it matches Elizabeth’s? It’s one of the many mysterys about Anne that her birth date and place is unknown and also where she lies in St Peter Ad Vincula. What an amazing page, I would very much like to see Anne’s remains reinterred in Westminster Abbey pardoned (as upon her last confession she pleaded her innocence and had NEVER committed adultery to her Priest) I think it is right and just, that she is re buried as Queen Anne, murdered by her petulant wicked husband! Would not the deft blow from the expert French swordsman be apparent on the spinal column of Anne Boleyn’s body and provide proper identification vis à vis the others? Unfortunately some of the neck bones were missing. I have been fascinated for decades about the life and death of Anne Boleyn. I have seen the movies and read the books both non-fiction and fiction. I have visited the places she lived and where she met het death. I too have longed to know more, to see her true face to somehow uncover a truth not known. This began as a child and I am sure will continue long into my old age, However to those who say the bones of those buried should be removed and properly identified and even re-interred in another location with additional rites or privileges, I completely disagree. They are interred in sacred ground. It is not a place for an archeological study. This is where they were buried in their time in history (twice now) To alter history is so damaging to the future generations who will follow her story and the Tudor story. To make it better or to know more in the end does no good to the truthful part of history this woman played. If by some means there is more documented evidence of her life not known yet that comes from a source such as portraiture or documents yet to see the light of day, I will be there, first in line. But leave them lay. It’s a shame they didn’t record notes on the pelvis and hips as surely they would have been able to see if the female had carried a child. That would have ruled out Jane Boleyn and Catherine Howard if the remains did show this. Does anyone know where the unmarked tomb in hordon is within the church? It would be interesting to see even if it’s not true. Since we are attempting to reconstruct English Royal History exhume the skeleton and perform DNA discovery. The only logical and honorable choice clearly. Then once discovered souls of the slain will be known in a absolute manner at which time proper accurate burial with all Christian ceremony can finally be performed correctly. I think if the DNA from the bones can be obtained…sometimes it is possible that the real face of Anne boleyn can be reconstructed…as the technology has been so much evolved.